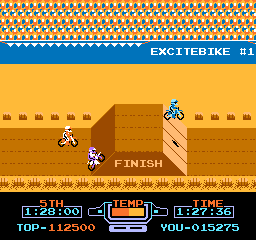 Vs. Excitebike © 1984 Nintendo. 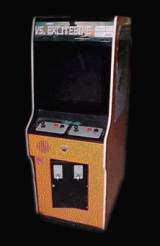 Vs arcade version. 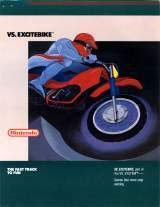 For more information about the game, please see the original NES version. James Hillard holds the official record for this game with 398,730 points.